I started off my writing career in print, and over the years I've been the editor of multiple magazines. I even have a book on restoring Chevy trucks that's out on Amazon right now. And one constant over most of those years has been Adobe InDesign. It's the go-to tool for print designers the world over, and it's what I've always used to get the job done. But, like many Adobe apps, InDesign can be intimidating for first-timers. There are a lot of weird things that don't look like Photoshop in there, and if you don't know much about print, it's tough to break into. So what do you do to get going with InDesign? Well it's not that bad if you do what I did, and that's to start off simple and move forward from there. There's Photoshop, a program made for manipulating raster images in a number of ways. Illustrator lets you work with vector graphics, tweaking and tuning the geometry of the designs however you like. Premiere is for working with video, and is one of the main tools for video editors across the country. So then InDesign is a tool that lets you put together parts of all three to create either physical or digital products that use a paginated layout. I've used InDesign to build magazines, brochures, resumes, sponsor pitches, and a number of different designs before, and most of them have either been professionally printed or delivered in a high-quality PDF. I've even done a short ebook with InDesign, since you can create interactive epub and PDFs, too. What it's not built for, however, is manipulating text and graphics. It is not a word processor. If you want to write your print publication, then either use InCopy — Adobe's writing app — or Microsoft Word. If you want to tweak your graphics, then go with Photoshop or Illustrator. Use the right tool for the job, basically. Now that you've got that figured out, where's the next best place to get going? When I first started out with InDesign, everything seemed so scary. I didn't quite understand the logistics of how the page laid out, where everything went, and how pagination worked at all. Know how I broke out of the slump? I bought a template. Then I broke it. A template is, in essence, a completed document. Yes, it's filled with dummy text and content that you may not want. But by using that as your guide, you can figure out a lot of things quickly. Click on objects. Right click on them. See what happens. Slowly but surely, you'll figure out how the nuts and bolts of an InDesign doc (.indd) go together. And if you need to find some templates, we've got a ton of them right here. Now there are many great places to pick up tips on using InDesign. 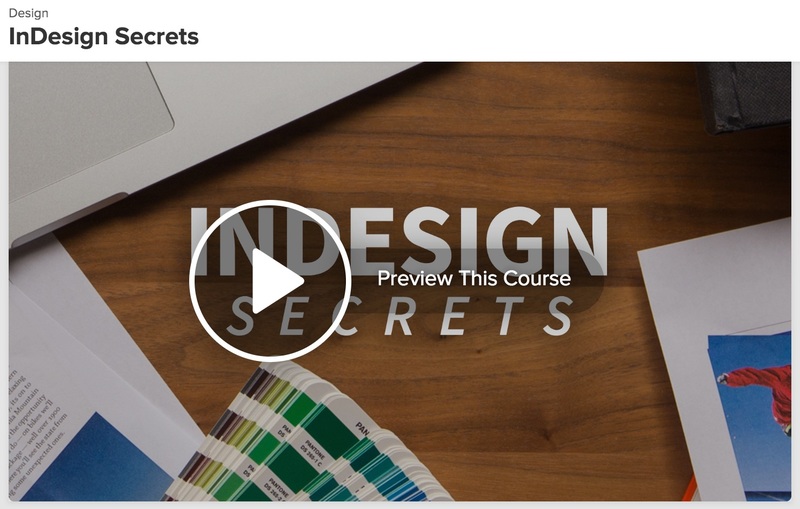 Adobe has a ton of InDesign tutorials that range from the very basic to the more advanced. For example, there's the obvious one for newbies: Get started with InDesign, and when you're more experienced, check out Improve readability by adjusting letter spacing. If you want to go the paid route, consider Lynda. My wife and I have an account there, and they have hours of courses dedicated to InDesign and its various uses. It's anywhere from $25/month on up, but you get lots of options there for not just InDesign, but lots of other design programs. Of course, we've got a few tips and tricks of our own. 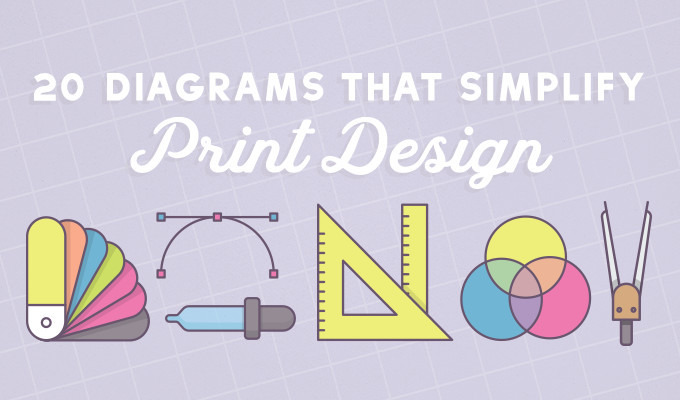 In 20 Diagrams That Make Print Design Much Easier, there are a ton of great resources for putting together your next big print project. 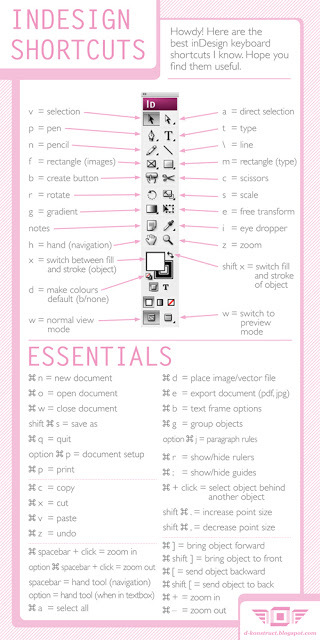 And since InDesign is all about print, this is a good place to start. Remember how I suggested buying a template and breaking it to figure out how it works? In A Simple Guide to Edit a Brochure Template, you can do just that, but you get a little bit of guidance, too. 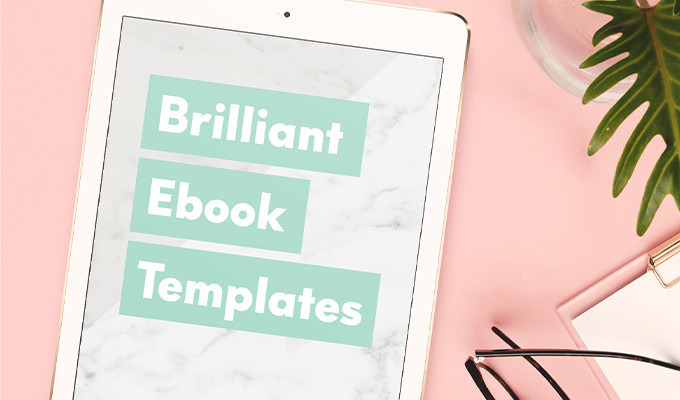 And along that same vein, Brilliant Ebook Templates to Design Your Next Bestseller gives you a lot of ebook templates to work with. Why ebooks? Because even though they're not technically a print product, InDesign can create ebooks, which gives you a ton of flexibility with layouts. I've used InDesign over the years, and even though many of us work in a mostly digital medium, knowing how to work in print is still a very handy skill. It lets you approach things from different angles that you might never have considered. They may say that print is dead, but as long as people are using InDesign, it never will be.